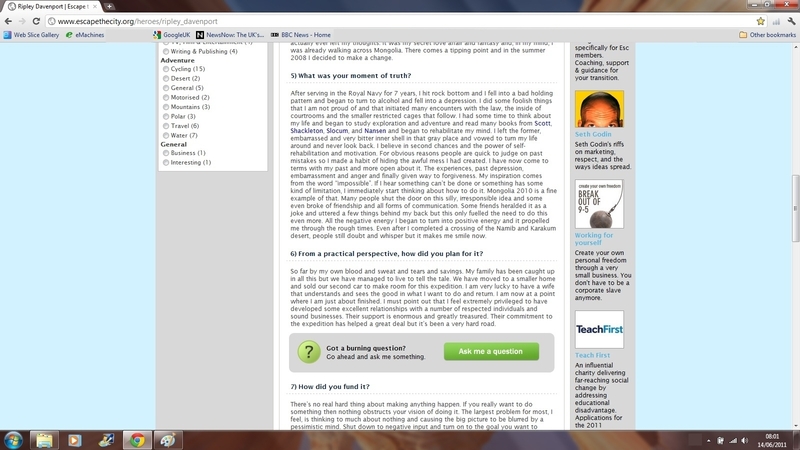 All the information presented here is from public information sources or consenting interviews with individuals. Colin Dormer, born in Great Yarmouth, England joined the British Navy in 1990 at the age of 20. He served two years as a basic level seaman including a cruise on a frigate named HMS Active to the Caribbean and the South Atlantic. He married a woman named Jane Smith in Great Yarmouth in 1992. 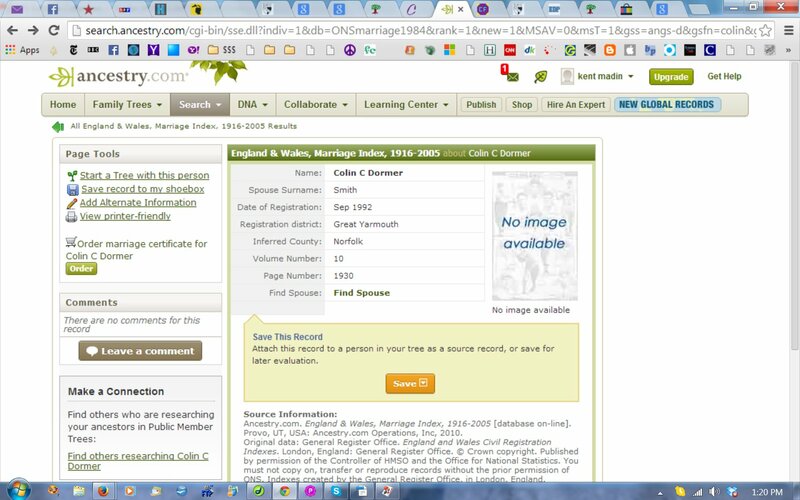 Sometime between 1992 and 1997 it appears that Colin a: got divorced, b: spent time in jail and c: changed his name to "Ripley Davenport" by "deed poll". In 1996 he signed up for the RAF Regiment, a part of the British Military distinct from the Navy. He left the RAF regiment after weeks or months, without finishing the training phase. 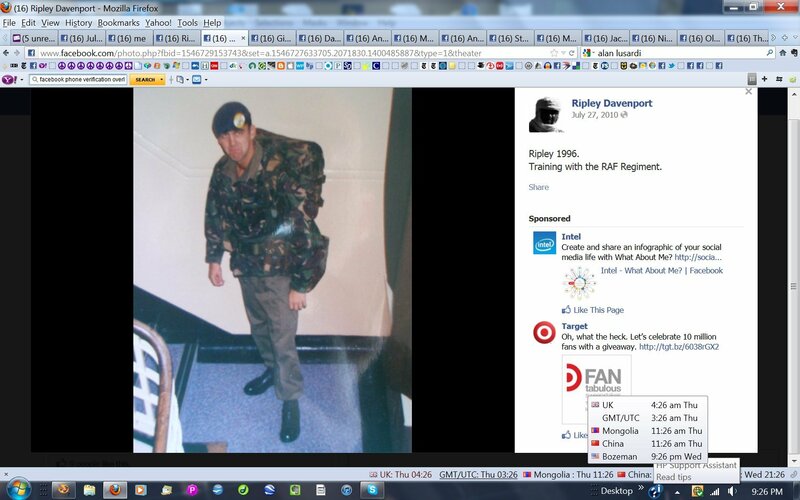 From his departure from the RAF regiment until late June, 1998 he worked as a rentacop for GS4 Security and lived with a girlfriend in Northern Ireland. In late June, 1998, his girlfriend says he flew to Cyprus from Belfast. Davenport claims that in between March and May of 1998 he was crossing the Namibian Desert. Ripley claims that he then crossed the Karakum Desert in (either) 21 or 28 days with one water resupply. (The fact that Ripley/Colin spent time in jail is relevant only because it belies his claims to having spent 7 years in the British Special Forces). Between 2001 and 2006 Ripley/Colin's whereabouts and activites are not known. In 1999 and 2000 he worked as a seasonal laborer in Denmark at a Christmas Tree farm according to two fellow workers. One of them said "Me & the other guys (I'm British & they were from New Zealand & Germany) quite quickly came to the conclusion that he was a bit of a bullshitter but probably harmless- you took what he said with a pinch of salt. As it suggests in the Polittiken article about him he is quite charismatic & the Danish people we worked with seemed to think he was wonderful although we were usually operating in a second language to them & they're maybe inclined to be less cynical. I didn't actively dislike the guy although I suppose he was just a Forest worker in those days, I just thought he was a bit style over substance. You wonder with people like that if they know in their own minds where the boundary is between the real world & their own fantasies". None of his co-workers remember Ripley mentioning Namibia, Karakum Desert, Tuareg's, etc. events which Ripley claims had happened within the last two years. In roughly 2006 Ripley was living in Denmark and met Laura from Lithuania in a pub. She left her husband and moved in with Ripley. They soon had two children. Laura, at some point, became a full partner in the charade of "Ripley the Explorer", probably when a modest inheritance gave them the funds to invest in the charade (see below). In 2008, Ripley was doing odd jobs in Forestry. The couple had tried to market themselves as business consultants. Ripley discussed this venture here. When Laura's mother died, they debated whether to use the modest inheritance to pay outstanding bills, but instead they decided to "create" Ripley as a famous desert explorer, a career more exciting and they hoped, more lucrative, than honest work. 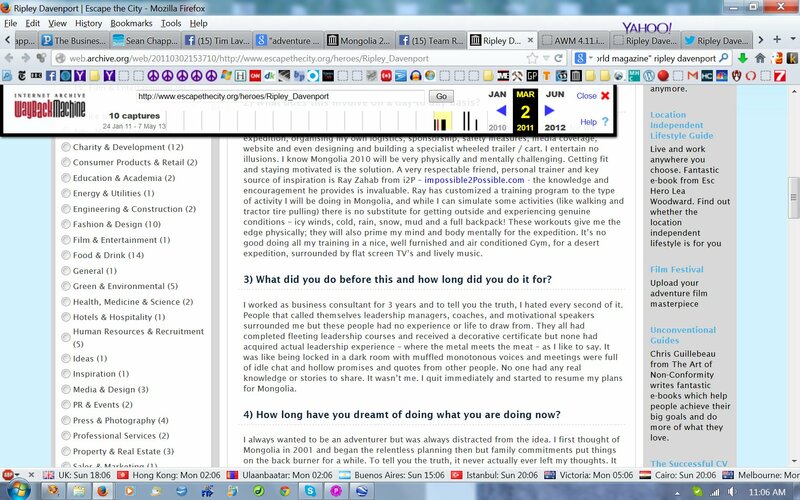 They set about building a website, mongolia2010.com, filled with both ordinary travel described to sound grand and imaginary expedition events from a decade before (see list below). Those imaginary (or greatly inflated) events were intended to tell a story of an accomplished explorer who had taken time off to start a family and was now returning to adventure. They also embellished Ripley's rather ordinary military career, turning a two year stint in the Royal Navy as a basic sailor and a brief training stint in the RAF regiment into a "combat paramedic", "7 years in Special Forces", who saw action in Northern Ireland, Bosnia, The Gulf War. They also gave Ripley a very respectable sounding educational history, with not one but TWO advanced degrees in Environmental Science and Conservation Biology. That deception served them briefly when Ripley got hired at an English speaking private school in Denmark. But when he couldn't produce documentation of his claimed education, he was sacked. 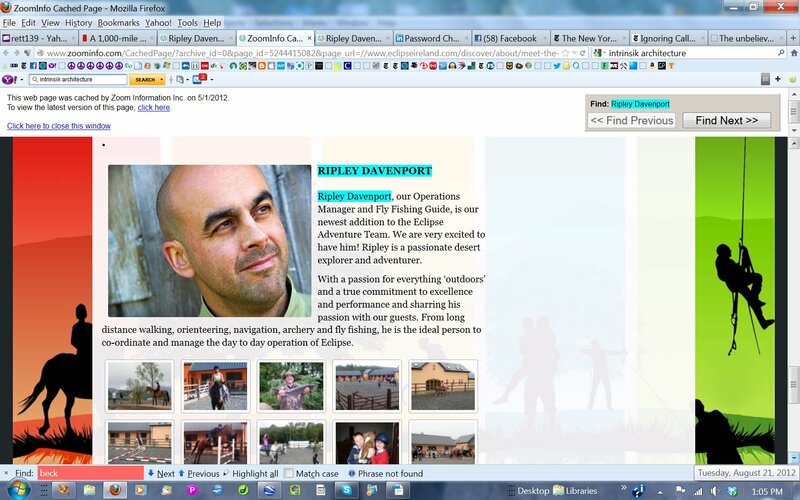 Examples of Ripley's self-promoting rhetoric can be seen by Googling "Ripley Davenport renowned humanitarian ". 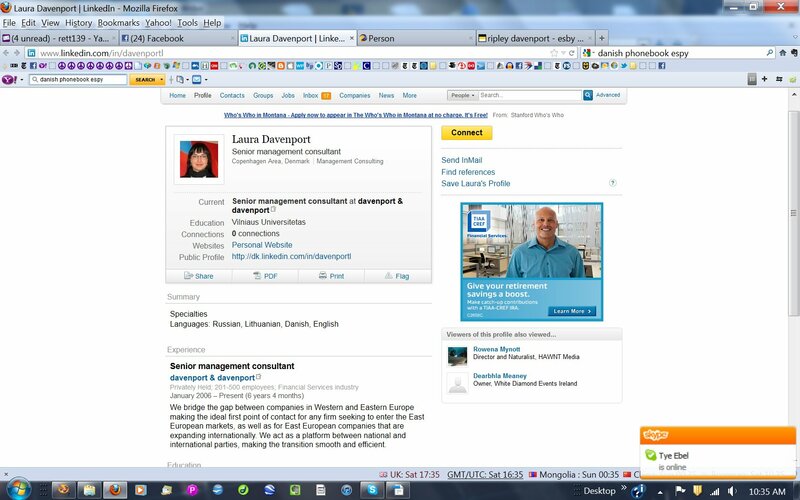 For examples of how Ripley Davenport's LinkedIn page has morphed from grandiose to simply gone, go here. Ripley's unsubstantiated claims of military, educational and expedition experience can be read here in the trip preparation documents sent to paying clients of the Gobi 2011 trip. When you present false information to induce people to pay you for services it's called "fraud". As a team, Ripley and Laura worked to embellish the website and contact outdoor equipment companies looking for sponsorship. Those sponsors include Termo, a Swedish underwear manufacturer which still lists Ripley as an Ambassador including the debunked expedition claims. Another sponsor, RailRiders (outdoor clothing) also still lists Ripley's early claims. Both companies have been presented with voluminous evidence of Ripley's fabrications. Along the way, the Davenport's (virtually) met Mikael Strandberg, another self proclaimed adventurer with an established adventure blog well known in professional explorer circles in Europe. Strandberg "met Ripley on Facebook" and took the couple under his wing. He gave them space on his site to write fancifully imagined descriptions of what it was like to be a famous explorer and a famous explorer's wife. (the photograph that accompanies Ripley's contribution is taken just yards from his front door, not "in the far-flung reaches of nowhere, miles from anything resembling anything man-made") The cloak of authenticity and credibility that came with inclusion on Strandberg's blog was critical to the Davenport's efforts to gain support, sponsorship and equipment for the walk across Mongolia. To this day it is unclear whether Strandberg realizes he was played. Ripley Davenport's first actual desert adventure took place in 2010 when he attempted to walk solo, unassisted, hauling a cart with all his food and kit across Mongolia. VisitMongolia, a Mongolian owned tour company, believing Ripley's story of previous desert expeditions in Africa and Central Asia, had given Ripley virtually free support for his Mongolia 2010 solo walk with the understanding that this "famous explorer" would then organize paying groups to VisitMongolia's financial benefit. After failing just 12 km into the walk, Ripley gave up and went home but through the financial largesse of Todd Carmichael (another trailer puller) Ripley returned to Mongolia and claims to have completed 2/3 or the planned distance before suffering an injury. Many questions about that trip remain unanswered including how, if Ripley had been training with the cart fully loaded in Denmark, its bearings could fail twice in 12 kilometers. Carmichael, a reality show host and coffee merchant claims to have had his "large staff" look into Ripley's claims "exhaustively" and found Ripley to be authentic (read from bottom -> up). However, Carmichael declined to share any of the exhaustive research. In April, 2011 Ripley moved his family to Ireland though he informed his Danish landlord that they were moving to Canada. The landlord asserts that the Davenports left leaving $2000.00 USD owed in back rent. Ripley also left behind unfulfilled commitments to his primary Danish sponsor for his 2010 expedition to Mongolia, Pilotur. He did make this video extolling the virtues of Pilotur watches (in which he claims he was a "British Marine Soldier" and completed the entire walk). The purpose of the move was to join the nascent Explore Foundation. Ripley's Gobi 2011 tour would be the first commercial expedition of Explore Foundation. Ripley was "guide" and organizer of this adventure holiday called Gobi Crossing, a vehicle supported, camel-leading walk across 1000 miles of the Gobi. He charged 10 people about $7,000.00 USD each (not including international or internal airfares, hotels). He first contracted with VisitMongolia to provide the support logistics, camels, food, etc. as previously agreed. But Ripley changed camels in mid-stream, breaking his agreement with VisitMongolia and hiring Panoramic Journeys, a British tour company, instead. Both the 2010 and the 2011 treks had websites (mongolia2010.com, gobi2011.com) but they were both erased shortly after the Davenport house of cards began to collapse in 2012.Gobi 2011 lost nearly half the clients in the first few weeks either from injuries or disillusionment (or both) with Ripley's leadership and competency. The Facebook site for Gobi 2011, designed to encourage the participation of friends and relatives of the trekkers (and encourage donations to local charity) was regularly "sanitized" by Laura Davenport, from her couch in Ireland, of questions or comments deemed critical of Ripley. More on the Gobi2011 trip is HERE. Immediately after the Gobi 2011 trip, the Davenports parted ways with Explore Foundation over issues surrounding the departed and disgruntled clients, unpaid satellite phone bills, etc. Of important note is that ALL the responsibility and handling of funds for Gobi 2011 went through Davenports' personal bank accounts, not through any accounts associated with Explore Foundation. 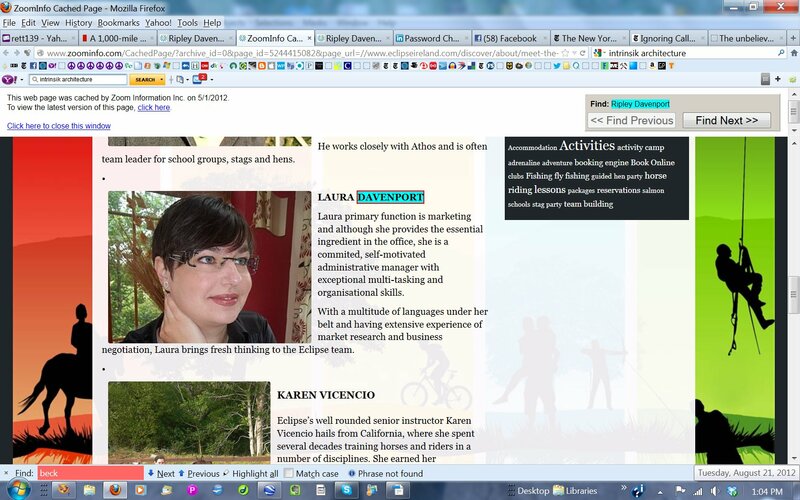 The Davenports then made their way to Eclipse Ireland, a holiday camp where Ripley was briefly "operations director" and Laura in charge of marketing. 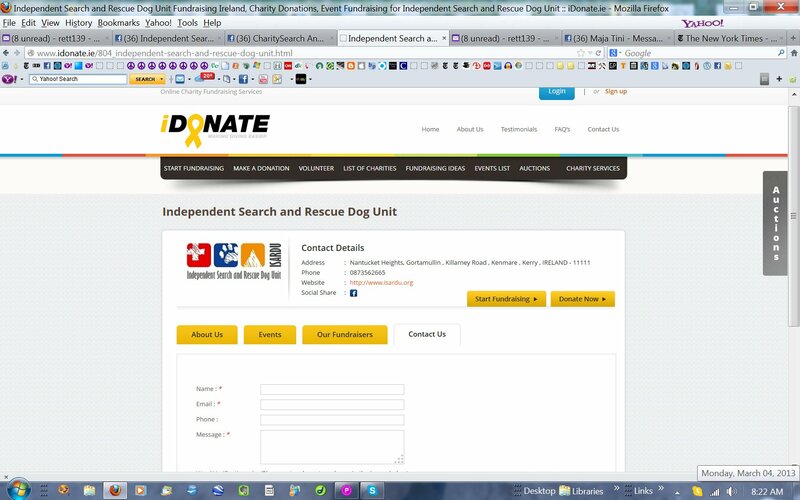 In Kenmare, Ripley tried to start a private Search and Rescue Dog service (ISARDU.org) which solicited donations from the general public without ever identifying any of the "team" by anything other than their first names. Isardu.org had a website and a donation site, borrowed a logo and pasted it on a vehicle but never did any searches and then disappeared. Ripley then returned to Eclipse Ireland where he became involved in "Coasteering" a sort of aquatic challenge course for vacationers and hen and stag parties. There is much, much more to the story, some of it stuff you just can't make up, including legal name changes, bad checks, faked videos, spurned girlfriends, jail time, family dysfunction, bad debts and claims of "cyberstalking". But the core of the story is a young couple whose delusion or cynicism was sufficient that they felt justified in creating a fake story as a stepping stone to the fame and fortune they seemed to imagine they deserved. The ability to construct a plausible (at first glance) narrative was enhanced by the internet and given gravitas and authenticity by Strandberg's whole hearted embrace of the Davenport story. Once "vetted" by Strandberg, the Davenports could make up anything and get away with it. The world of private, self-declared explorers it seems, is lacking in healthy skepticism. Ripley sent the paying participants in Gobi Crossing a number of documents to prepare them for the trip. This annotated copy of the main document describing the trip includes a more detailed resume of Ripley's "accomplishments". 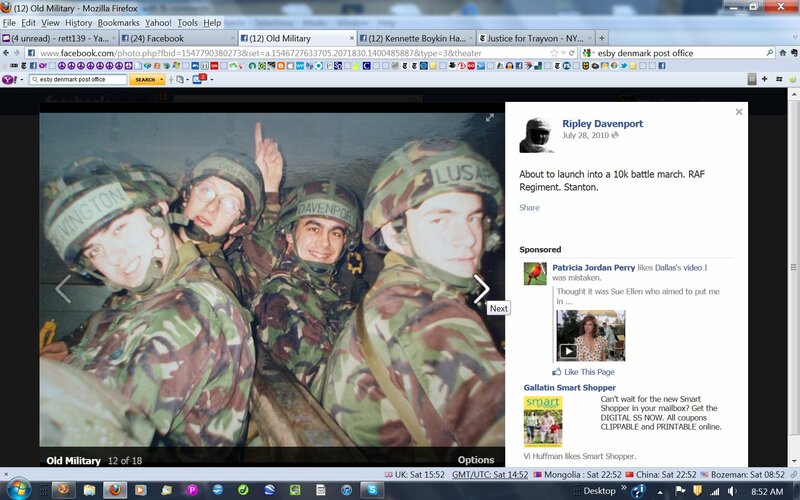 It was sent to Ripley Davenport in 2011 for comment and explanation and there was never any response. 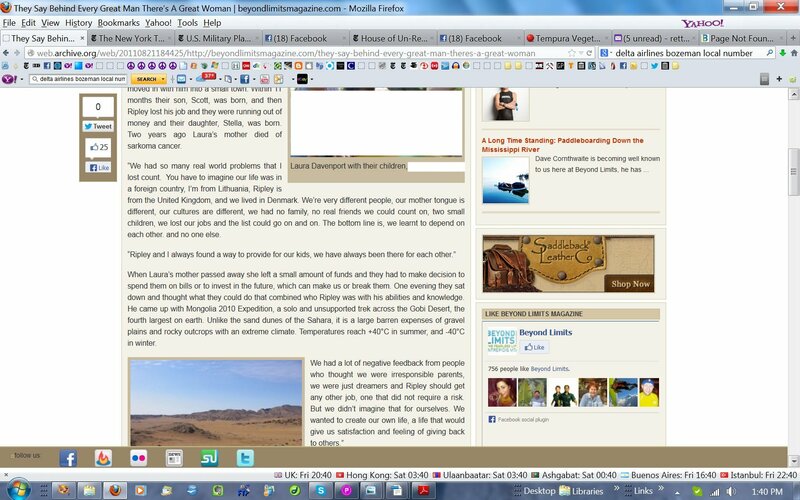 Though he does not mention it anymore on his current website, in this video made as an "ambassador" for a youth group, Ripley specifically mentions both Namibia and the Karakum Desert. The only events in that list that are not tourist routes done by thousands of people on holiday are the Namibia and Kara-kum desert expeditions. The facts which prove that Ripley did neither would fill many pages and are available on request. Another oft repeated claim is that Ripley lived with the Tuareg nomads in Niger and the Gadia Lothar nomads in India. When asked about his experience in India by one of the members of the Gobi 2011 team (who was herself from India and familar with the Gadia Lothar) Ripley changed the subject. Spending an entire day fishing with a new acquaintance in 2006 in Lithuania, Ripley never mentioned that he "spent time living with the fiercely independent, nomadic blue-turbanned Tuaregs, a rare occasion and privilege for any Westerner" in spite of the fact that his fishing companion described his own recent travel in North Africa including visiting the Tuareg. Ripley also made no mention of having any desert travel experience. The fishing companion was a private school headmaster, in Lithuania to interview for a job. Shortly after the one-day acquaintanceship, Ripley applied to be a private school teacher at the Cosmo school in Denmark, complete with two fabricated higher degrees. Ripley now claims to have Multiple Sclerosis (MS).